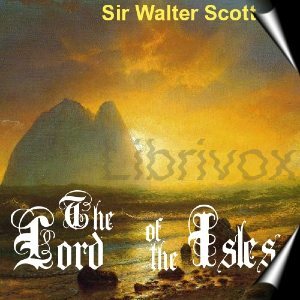 In stunning narrative poetry, the story begins during the time when Robert Bruce, Earl of Carrick has been hunted out of Scotland into exile by the English and their allies. Bruce returns over sea from the Island of Rachrin: but is forced to land close to hostile forces at Artonish Castle on the seacoast of Argylshire. Seeking refuge from tempestuous seas, Bruce begs shelter from Ronald, Lord of the Isles: inadvertently on the day of his marriage feast to the beautiful Edith of Lorn. Bruce's very presence is enough to interrupt the nuptials and to break up the festivities: the guests quickly polarise into two armed and equally matched factions: one ready to raise Bruce to the Scottish crown, the other ready to slay him for desecration and murder. The combatants are dispersed with no bloodshed only by the combined offices of Lord Ronald himself, aided by a visiting Abbot: whereupon Bruce quickly removes himself to first the Island of Sky, and then Ayrshire: raising the an army willing to rout the English and re-establish Scottish independence. Bruce begins to win a steady stream of victories as his armies march inevitably towards Bannockburn. There, Bruce confronts Scotland's formidable enemy - led by the son of the Hammer of the Scots: the English outnumbering the Scots by more than two to one. - Can Bruce - the so-called fugitive, traitor, and turn-coat - succeed against the massed might of England?